The words you use can cause more anxiety than you think. 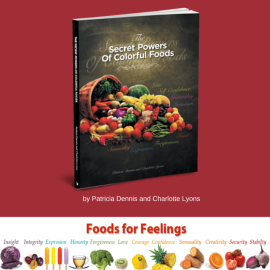 In our book, “The Secret Powers Of Colorful Foods,” we talk about different colors of foods supporting different emotions, feelings, attitudes, even our spirituality. Once you’ve determined the feeling, attitude or emotion you want to work on, you select food of a similar color and use the recipes in the book – or create your own. 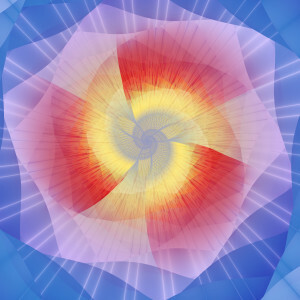 Nourishing our body energetically with color for emotional benefit is one thing. Another is seeing words as foods that feed our subconscious mind positively or negatively. As writers, Both Charlotte and I are intrigued by the power of words and they way they affect us. The Aquamarine chapter of “The Secret Powers Of Colorful Foods” all about self-expression and speaking one’s truth. We explore the secrets some words hide. Take the word hope, for example. How many times a day do you hear it? How many times do you use it? When you say, “I hope so,” it sounds positive, but it is shadowed by doom – it is a surrender to helplessness and the belief we cannot fulfill our own needs. Using the word hope leads to disappointment and promotes a feeling of anxiety – the subtle dread that something bad is about to happen. A remedy to using the “hope word” is first to catch yourself using it. Then replace it with ‘I have confidence” or “I trust” or I am optimistic.” Feel the shift that positive energy makes? That’s because it gives commitment and provides security. So, when I say “I have confidence that you will use a more confident expression to replace the word hope, ” I am empowering my subconscious mind as well as yours. Be consistent in replacing the word with a positive one, because it takes repetition to break a habit. Another word that negatively feeds the subconscious mind is “should.” Plain and simple, it implies punishment. It is that parental finger pointing at you. Catch yourself using it and replace it with the words, “I’d like to” which suggest a goal and a desire without pressure. Can you feel how changing words puts you in the driver’s seat without the anxiety of punishment? It’s a powerful tool. Deleting the words “hope” and “should” from our vocabulary can help alleviate anxiety. Your subconscious mind will thank you! New 4-Color Edition Only Available Here!